Steve Cardenas, a former “Power Ranger” and 5th degree black belt in American Tae Kwon Do & black belt in Brazilian Jiu Jitsu (BJJ) started training martial arts in his hometown of San Antonio, Texas at the young age of 12. At 14 he realized he wanted to teach martial arts and accepted an apprenticeship with mentor, Dennis Black. Black began teaching Cardenas the fundamental important lessons of instruction as well as the ins and outs of the "karate biz". At age 16 Cardenas received a Black Belt in Tae Kwon Do, prompting him to teach multiple after-school programs to kids and teens. At 20 Cardenas moved to Los Angeles, California after an unlikely audition landed him the the role of “Rocky the Red Power Ranger” on the TV series Mighty Morphin Power Rangers. 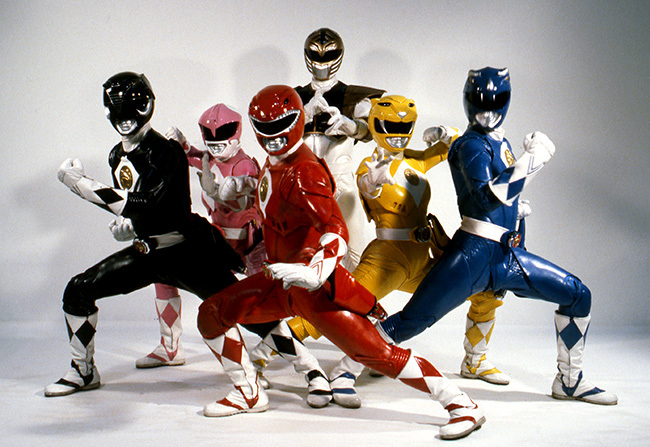 Mighty Morphin Power Rangers is an American live-action children's television series that saw overnight success, catapulting the show into pop culture in mere months. Following a run making pop-culture history, Cardenas successfully ran martial arts studios in California and Texas and in 2009 started a kids-specific program at Hollywood BJJ studio in West Hollywood founded by actor and BJJ black belt, Sean Patrick Flannery. With 25 years of martial arts experience, Cardenas has also received many outstanding honors, including: two-time Silver Medalist at Copa Pacifica in 2009 & 2011, Gold Medal winner of the 2009 American National Championship, Bronze Medal winner in the 2010 American National Championship, Gold Medal in the 2010 Jiu-Jitsu Pro Gear Open, and Silver Medal in the 2010 No-Gi World Championships. Recently, he won Gold in both the Gi and No-Gi 2011 American Nationals and Gold in the 2011 No-Gi World Jiu-Jitsu Championships. Now, Steve not only focuses on working with kids in BJJ, but people of all ages and believes that the conditioning, discipline and respect that people learn from martial arts can be carried over into all aspects of their lives. "Antler Velvet Max is a wonderful product that I would recommend to everyone to include as part of your diet and training program. It offers so many benefits for all body types. I will be sharing this product with all of my friends in Hollywood who like to follow the latest trends in health and nutrition!" We are pleased to welcome Steve to the MaxLife Direct family!